Who Plays a Les Paul? The Gibson Les Paul is one of the most popular guitars in the world. Some of the best rock musicians in history have looked to it for their sound, and legions of young guitar players have grown up dreaming of owning one of their own. With its heavy mahogany body with a maple cap and a mahogany neck the Les Paul has a signature sound that growls deep and guttural, yet sings with sweet highs and harmonics. There may be other guitars constructed with similar tonewoods, but, for many musicians, nothing less than a real Gibson LP will do. Les Pauls come in many flavors these days, from the gleaming and pricey Custom, down to very affordable Faded options. There’s also Epiphone, a former competitor now owned by Gibson, which makes lower-priced Les Pauls for up-and-coming players. If you want to get into the club, no matter what your skill level and budget, you can make it happen. If you head down to the local guitar shop no doubt you can find a 'Paul that will knock your socks off, but many of the greatest musicians in history played Gibson guitars a bit unlike anything you can pull off the rack. Some feature modifications to bring out unique tones, where others are simply somehow different than your average guitar. These guys have proven there are some excellent reasons to play a Les Paul. Of course it should go without saying that the players themselves are part of what makes their guitars so amazing, and what has made the Gibson story so epic. That unmistakable vibe and sound has played a key part of some of the most classic sounds in rock history. Here is a look at ten famous Les Paul players and their guitars. When it comes to the Gibson Les Paul, it only makes sense to start with the man himself. Les Paul was a pretty good guitarist in his day, and worked with Gibson to come up with the original design for the guitar that would one day bear his name. 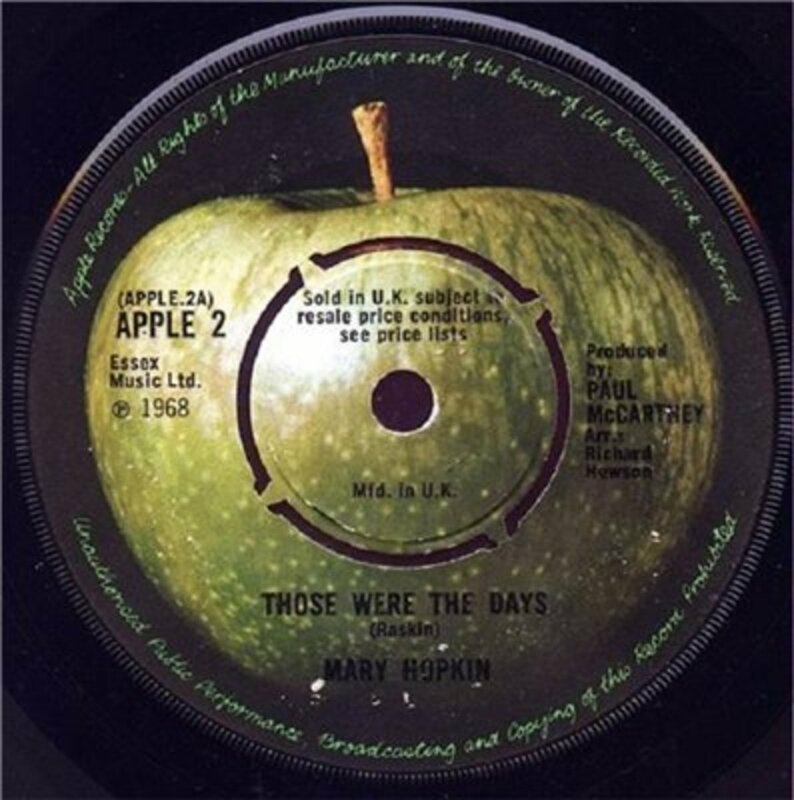 But his first effort was far from the pretty Gibson LPs we know today. He called it The Log. Built in 1940 in the Epiphone factory, The Log was one of the first solid-body electric guitars. It didn’t look much like a modern Les Paul, but it got the ball rolling. 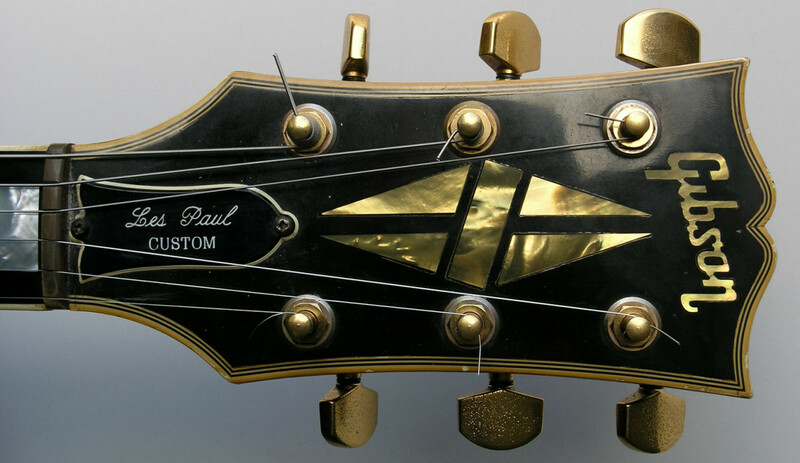 Paul pitched the idea to Gibson, but initially they would decline any further development of Paul's prototype. Eventually, Paul and Gibson would work together once Fender started marketing their own solid-body instruments. The rest, as they say, is history. In the late ‘80s the Hollywood hard rock scene was spewing out bands left and right. These were the days of big hair, big guitars and partying all night. Guns N’ Roses certainly engaged in all of those things, but they also had a sound a bit different than many other bands of the period. Grittier, less polished and more blues-based, in many ways GN’R seemed to be what rock n’ roll was all about. 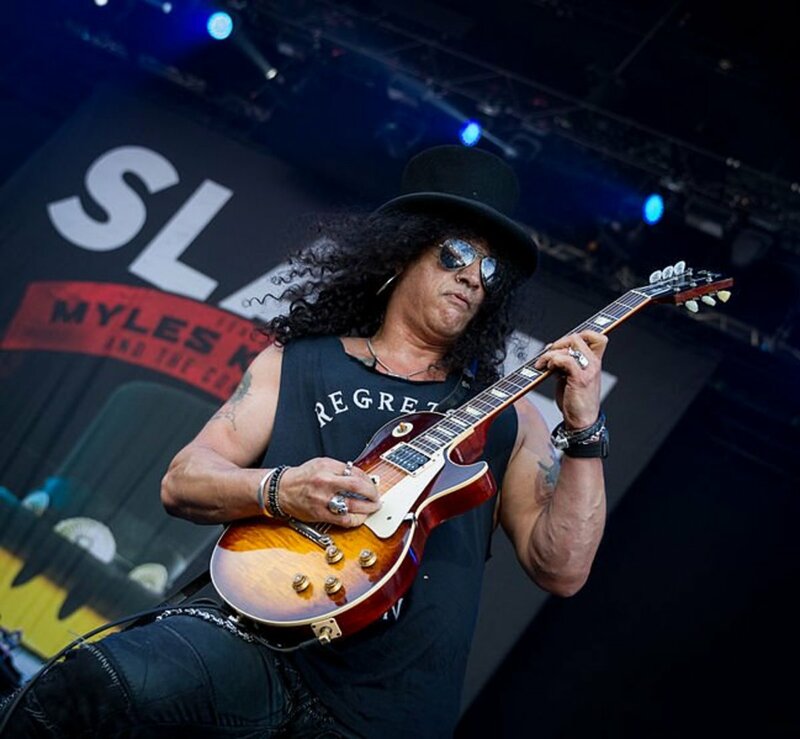 A guitar player called Slash became a household name, with top hat on his head and Les Paul in hand. While there is a great deal of debate about which guitars Slash used on GN’R’s debut, Appetite for Destruction, it is certain the Les Paul became forever linked to him thereafter. In many ways, Slash brought the Les Paul back into the spotlight at a time when single-pickup superstrats were everywhere. Jimmy Page may be the ultimate Les Paul icon. Page played different instruments during his years with Led Zeppelin, especially in the early days. Most notably, he played a Fender Telecaster before making the switch to Gibson. Page’s most famous Gibson Les Paul is known as Number One. It’s a ’59 Les Paul Standard with a sunburst finish, modified electronics and shaved-down neck, purchased from Joe Walsh. Page later added another Standard to his collection, modified the electronics, shaved the neck and called it Number Two. Jimmy Page played many Gibsons during his career, including an EDS-1275 double-neck. But it is the Les Paul that is forever tied to Jimmy Page and helped to forge his sound during the glory days of Led Zeppelin. When the general public thinks of ZZ Top they imagine long beards and fuzzy guitars. When guitar players think of ZZ Top they think of epic tone and smoking blues. Both come from the hands of Billy Gibbons, front man and lead guitar player. Gibbons’ Les Paul story is one of the coolest out there. As legend has it, Gibbons and the band had sold an old car through a friend who had moved to California. When Gibbons learned of a ’59 Les Paul for sale he bought it with the money from the car sale. The guitar’s owner had passed away, and the instrument had been sitting under a bed for years. It turned out this Les Paul was special, and stood out even among great Les Pauls. The guitar became known as Pearly Gates, a moniker that formerly belonged to the car. We all dream of finding that perfect guitar lost in time, stuck in some closet or under a bed until we unearth it. 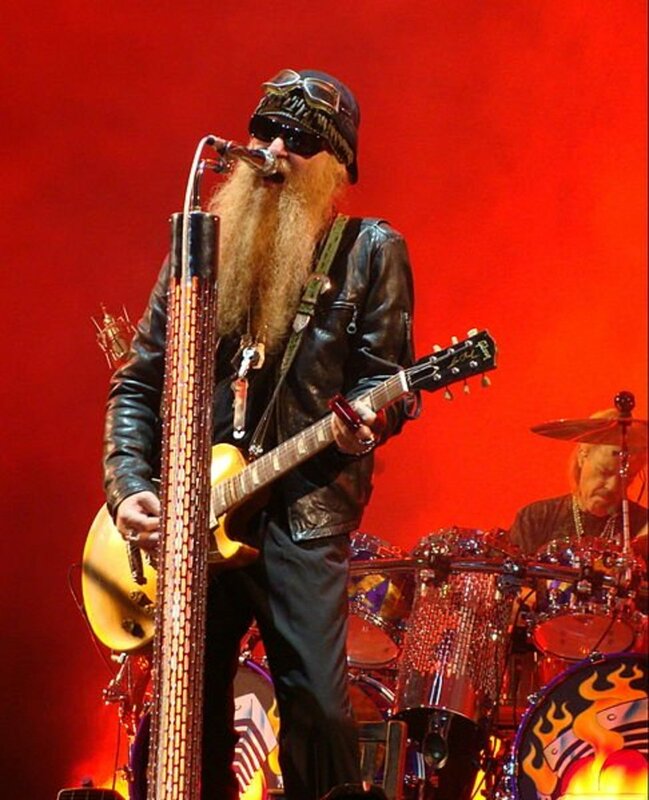 For Billy Gibbons, it really happened! Randy Rhoads was one of the best metal guitarists of all time, and a pioneer of heavy rock guitar. Originally a member of Quiet Riot, Rhoads went on to hone legendary metal anthems like Crazy Train and Mr. Crowley with Ozzy Osbourne. His meld of classical guitar and metal continues to inspire young guitarists to this day. Rhoads played several guitars, including a prototype of the Jackson model that would eventually be named for him. But his worn-white 1972 Gibson Les Paul custom was his main guitar, and he used it both live and for his few studio recordings. Sadly, the world will never know what Randy Rhoads was truly capable of, and in the eyes of the public at large his genius has been lost to time. He died in a plane crash in 1982 at the age of 26. Following the death of Randy Rhoads, Ozzy Osbourne found himself not only without a guitar player, but without a musical soul mate. Ozzy is known for legendary guitar players, and there were a few in the ‘80s who were outstanding. But when Zakk Wydle stepped in as a young nobody in 1987, a new Les Paul hero was born. Since then he has been in and out of Ozzy’s band for the past 25 years. Like Rhoads, Wylde played a white Custom, but this one heavily modified. Known as The Grail, Wylde’s guitar features a bullseye paint job, and sanded-down neck, a pair of EMG pickups and eye bolts for a strap buttons. The Grail was lost for a period from 2000-2003 when it fell out of the back of an equipment truck, but later returned by a fan. Wylde has played many Les Pauls with Ozzy and Black Label Society, but none as legendary as the Grail. In the mid and late ‘70s, back in the days before KISS took off the makeup for the first time and were still somewhat shocking, you might have expected their lead guitarist to play some wild-shaped instrument. After all, Ace Frehley was the Spaceman, and something like a Gibson Flying V would seem more matched to his persona. But Frehley chose a sunburst, three-pickup Les Paul for much of his mayhem, both with KISS and later as a solo artist. Frehley’s playing sometimes gets lost in the madness of the KISS mystique, but legions of guitar players who grew up in the ‘70s will tell you what an influence he was on their growth. You might not think Bob Marley deserves mention with these other amazing guitarists, and when it comes to pure skill you might be right, but there is no denying the impact his music has had on the world. He did much of his work with Les Paul in hand. Marley played a few different guitars, mostly acoustics, but his main electric was a modified Gibson Les Paul Junior with P90 pickups. Marley changed the reggae world forever, but even those removed from the genre appreciate his brilliance. 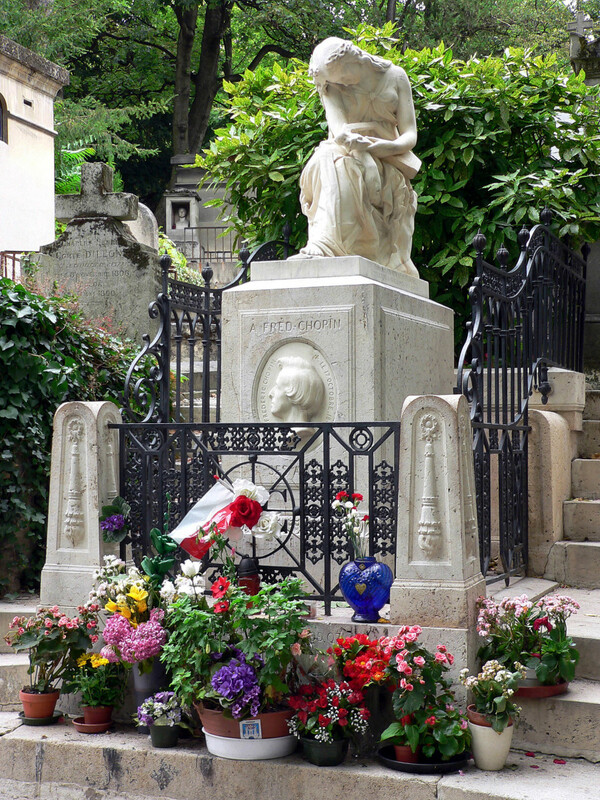 He tragically passed away after a battle with cancer on May 11, 1981. 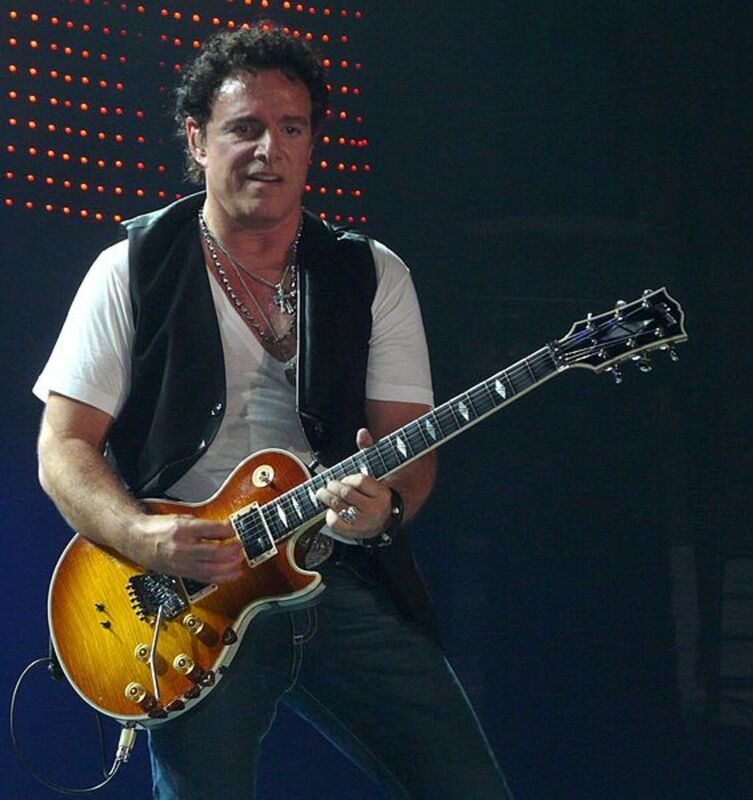 Whenever there is a discussion of the best guitarists in rock history somehow Neal Schon ends up way farther down the list than he ought to be, if he is mentioned at all. It’s a shame, because as a member of Journey this guy has been responsible from some of the sweetest riffs and solos ever recorded. Like his playing, Schon’s Les Pauls are pretty unique, and the most visible difference from the stock guitar is the Floyd Rose bridge. Floyds are rarely seen on Les Pauls, or any Gibson guitars for that matter. Schon also incorporates a custom pickup configuration and electronics. Journey is often thought of as a classic rock blast from the past, but they are still going strong today, and Schon sounds as good as ever. 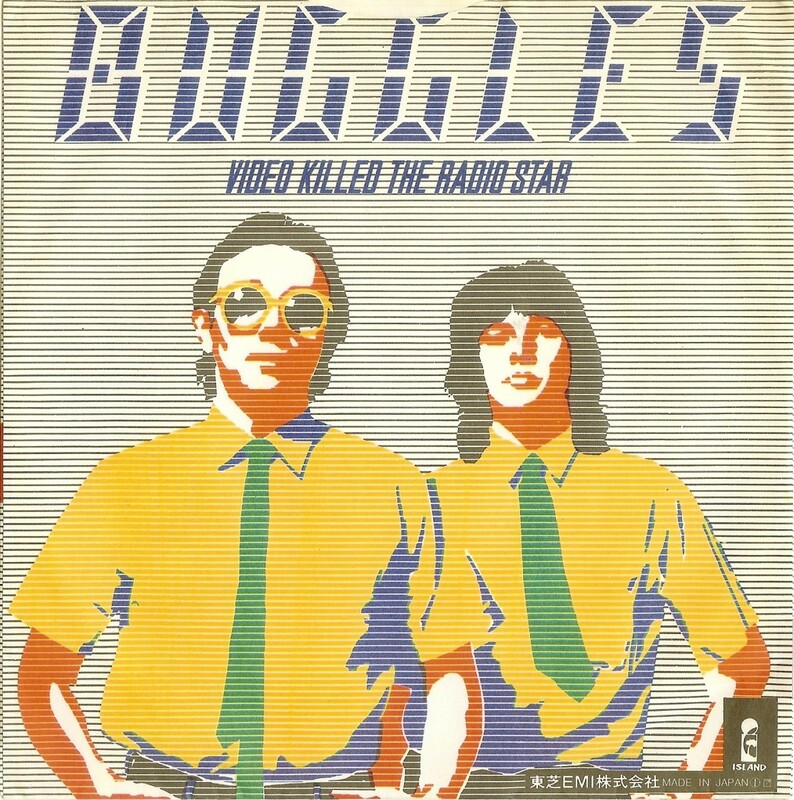 It is hard to imagine a band that exemplifies the ‘80s pop-metal craze more than Def Leppard. But those of us who were paying attention in the early ‘80s remember a different kind of ‘Leppard. The band’s first two albums, On Through the Night and High N’ Dry, had a heavier grit more indicative of the NWOBHM than anything pop. For 1983’s Pyromania Clark teamed up with new guitarist Phil Collen. Where Collen was precise and technical, Clark seemed to play straight from the heart, and of course he did it most often with Les Paul slung low. Steve Clark is truly one of the unsung heroes of ‘80s rock. And, like too many mentioned in this article, he left this world far too soon. He passed away in 1991 at the age of 30.
Who Else Pays a Les Paul? Of course the list of great musicians who have relied on the Les Paul sound over the years stretches for pages, and well beyond the scope of this article. Many players like Peter Townsend, Eric Clapton and Jeff Beck who are more associated with Fender guitars employed the Les Paul at some point in their careers. In the writing of this article inspirational musicians like Tom Scholz of Boston, Gary Richrath of REO Speedwagon and Joe Perry of Aerosmith came to mind. Certainly you can think of many more. There is a reason the Gibson Les Paul is the instrument of choice for so many great guitar players. Gorgeous looks and incredible tone are only the start of it. There is something about the vibe and mojo unlike any other instrument. What about you? If you are thinking you’d like to join the masses of Les Paul players out there it can seem daunting. These are expensive instruments, and while they are worth every penny they are out of the question for many of us. 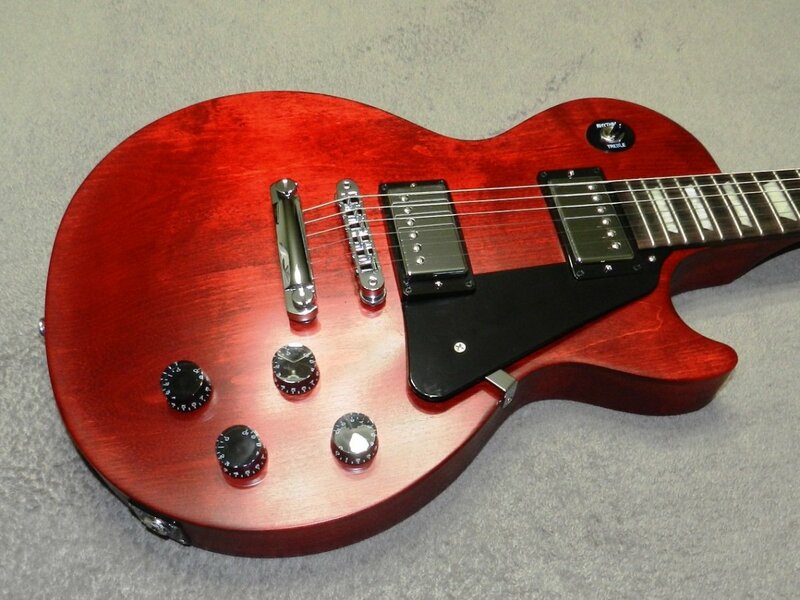 But remember Epiphone makes some outstanding mid-level Les Pauls that are very affordable and great guitars for the money. These aren’t just copies, but guitars built to Gibson’s specs with Gibson’s approval. There are a lot of guitars to choose from. In the end, you may find, just like the guys in this article, nothing beats the Gibson Les Paul. Where Do You Stand When it Comes to the Gibson Les Paul? Love them! Gotta have one, no matter the price! Love them, and I'll play an Epiphone until I can afford the real deal. They are okay, but there are better guitars out there for the money. They are over-priced and over-hyped,. The Gibson Les Paul Guitar: Overpriced and Overrated? Missing are Don Felder and Bernie Leadon. Love Gary Moore and especially Thin Lizzy. This isn't a top 10 list, so I may add him at a later date. He's been mentioned in the comments a few times! where is gary moore i notice the top guitar players are very quiet when gary moore is mentioned? In my mind I still associate Billy Joe Armstrong with that blue strat copy, even though I know he has been playing Les Paul Jrs for years. I guess that shows my age! 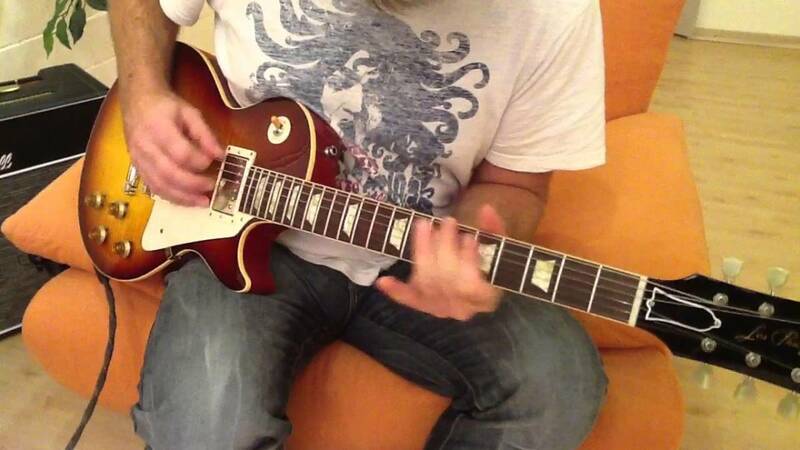 Joe Bonamassa gets a variety of great sounds out of Les Pauls.